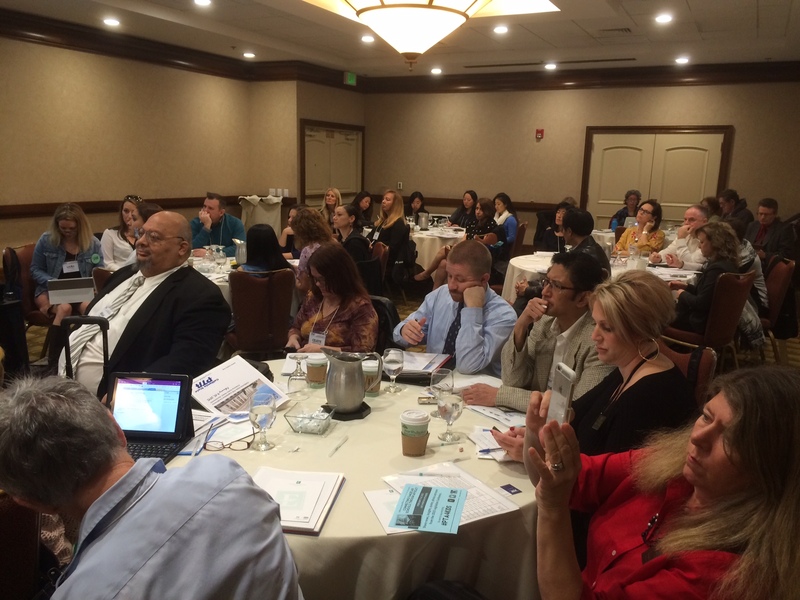 PTA members listen to a speaker Monday at the 2015 California State PTA Legislative Conference in Sacramento. California’s economy is on the rebound, but there’s little extra revenue to go around for the next state budget. Yet there’s one area that will see a big increase in funding: education. And that’s sparking a debate at the Capitol over how to spend the money. Governor Jerry Brown and the Legislature’s majority Democrats agree on the need to raise per-pupil K-through-12 spending. The governor also wants to set aside money for adult education and career tech programs. “The governor believes these are investments we should make so that individuals who aren’t gonna necessarily go to a four-year college – or a community college – have an opportunity to get the skills they need to be able to get a well-paying job,” says H.D. Palmer with Brown’s Department of Finance. Legislative Democrats say those programs deserve more money, but so do preschool and childcare – which the governor has generally opposed. Asked about those dueling priorities at the California State PTA Legislative Conference in Sacramento Monday, San Jose parent Patricia Andrade picked preschool. “We do obviously need to fund other levels of education, but I think we can’t lose sight of the fact that if you start from the top and there’s nothing at the bottom, then you’re not gonna be able to support that,” Andrade says. Lawmakers may also try to increase accountability on how school districts spend the money. Assembly Budget Chair Shirley Weber (D-San Diego) says districts should have to show progress in closing the achievement gap. “We cannot continue to tolerate the level of failure that is occurring in our schools among certain children. It’s alarming – for me personally and others. And it’s very disheartening,” Weber says. The debate will last the next few months until the Legislature’s budget deadline in June.